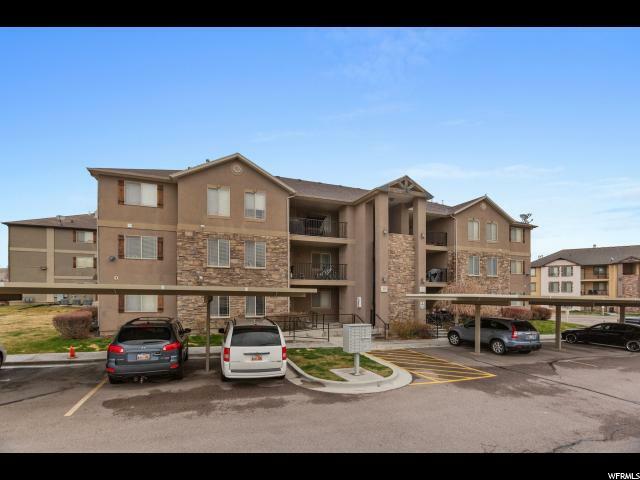 All ROCK CREEK HOA homes currently listed for sale in Eagle Mountain as of 04/19/2019 are shown below. You can change the search criteria at any time by pressing the 'Change Search' button below. "Main floor condo, North-facing, low utilities since the sun doesn't hit most of the condo. Beautifully finished with wainscoting, a rock archway, and laminate wood flooring in family room and 1 bedroom. Right next to the playground. Storage closet outside. Fridge, stove, dishwasher, microwave included. Smoke free, pet free previous owners. Handicapped-accessible. Square footage figures are provided as a courtesy estimate only. Buyer is advised to obtain an independent measurement."